Pre-load your account with an amount of your choosing – cash or debit/credit accepted. Scan item, login with a user name and password or finger scan at the self checkout kiosk and go! 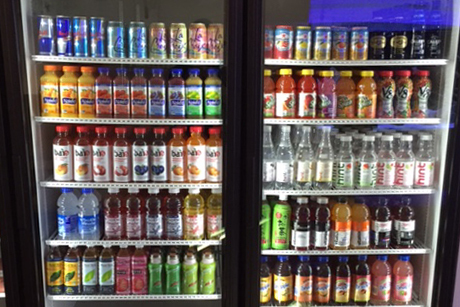 Hometown Fresh Markets is an alternative to traditional style vending machines. There are many questions associated with micro-markets. Is there a cost to businesses that would like to offer employees a micro-market? No, you and your staff only pay for the product purchased from the self checkout kiosk. What size business or staff member count is required? We require a minimum of 150 employees that have daily access to the Hometown Fresh Market. Our system includes a camera monitoring system to deter theft. The client is not responsible for theft. 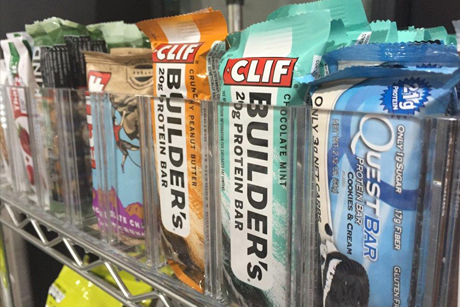 What about other areas of a building that need snacks and beverages? We can install some of our traditional vending machines to accommodate other areas of need. 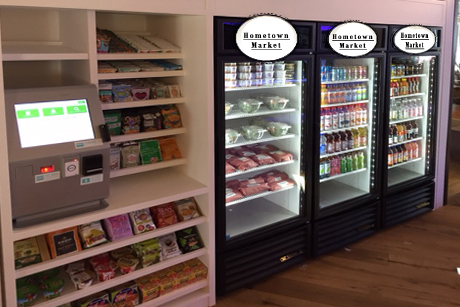 The Hometown Fresh Micro Market system accepts cash, debit / credit, and payments handled by HR. The Hometown Market attracts and retains the best employees, tenants and visitors while eliminating the operating expenses and subsidies of a cafeteria. Improve job satisfaction while also promoting health and wellness. It’s time to reap the rewards of a first class micro market program with The Hometown Market.